Xero is accounting software designed for small businesses that runs in the cloud. This means all your financial data is stored securely online – you can access it anywhere, anytime, from any device with an internet connection. 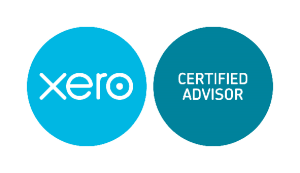 The Xero accounting application was designed specifically for small businesses. It’s easy to use and will save you incredible amounts of time, transforming the way you run your business. Small businesses actually say they find using Xero fun! Cloud-based accounting systems like Xero run in real-time, which means your data is always up-to-date. There’s only one version of it, so you can connect from the office, at home or on-the-go with Xero’s mobile app for your Apple or Android devices– no more being tied to your desktop! Collaborate online with Xero. Xero uniquely provides a single platform where small businesses and their advisors can collaborate easily online. You can choose who you want to give access to your financial data, then log in and look at the same figures at the same time, without any complicated processes. Xero was built to integrate with a large network of Xero Add-ons applications to help you manage all aspects of your business. These include point of sale, time tracking, inventory management, invoicing and job systems plus a wide range of other specialised software. Explore the comprehensive list of Xero Add-on categories available for your business. 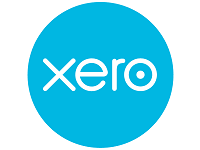 Try Xero for free If you’d like to revolutionise the way your business does accounting, Shellys Bookkeeping are the Brisbane based Xero bookkeeping experts and can help you set up a free trial of Xero. If you do decide to sign up, you’ll only pay a small, monthly, pay-as-you-go subscription fee. There are no contracts or setup costs and you can easily upgrade or downgrade your package at any time. To find out why small businesses all over the world love doing their accounting online with Xero, Contact Shellys Bookkeeping today.